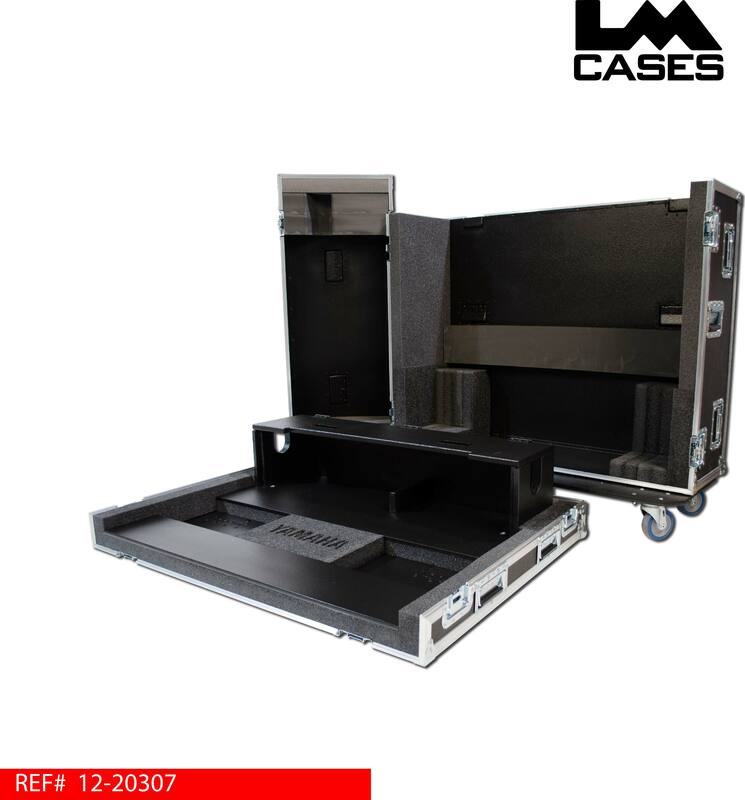 The case features a strategic foam lined interior, all surfaces not covered in foam are treated with our black textured coating. Foam touches the console only at specific points allowing for substantial cost and weight savings. 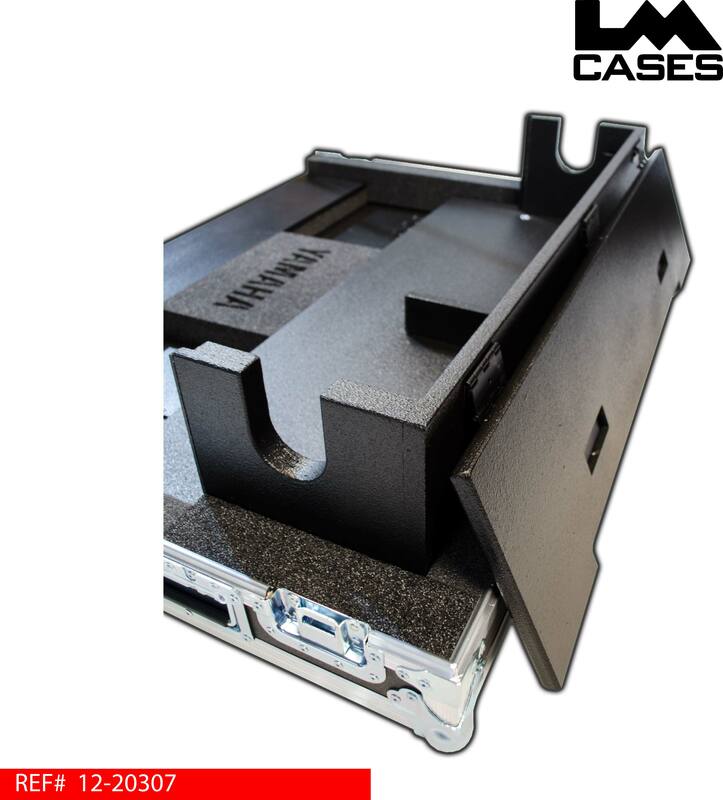 The consoles wood arm rest is cradled in a custom CNC cut Crosslink foam insert holding it in place and also protecting it from scraching. 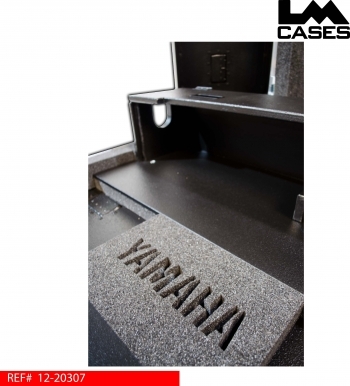 Operation manuals, Littlelites and cables are held on either side of the "Yamaha" foam block under the console. 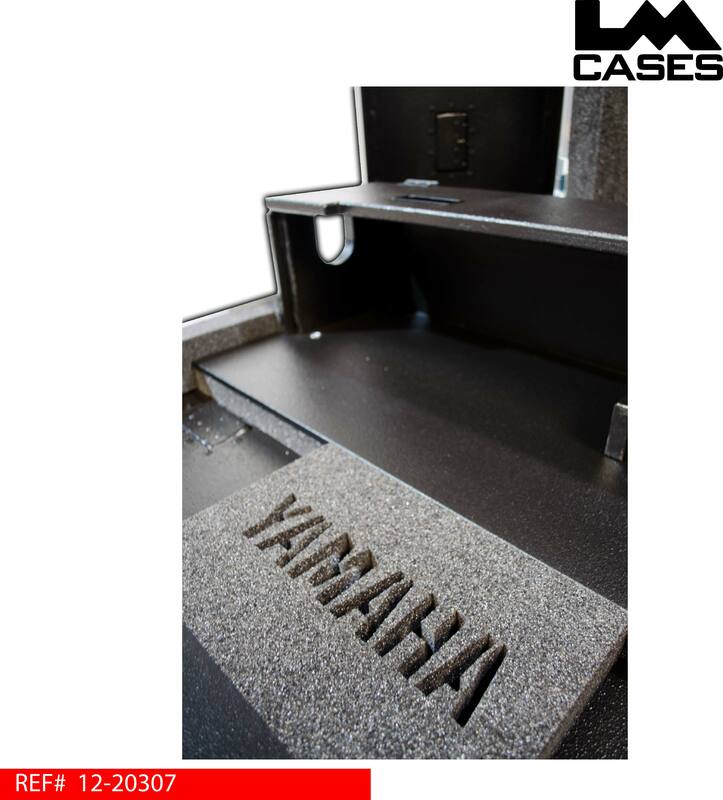 The rear of the console is covered by an 8" Baltic Birch doghouse that black texture coated. 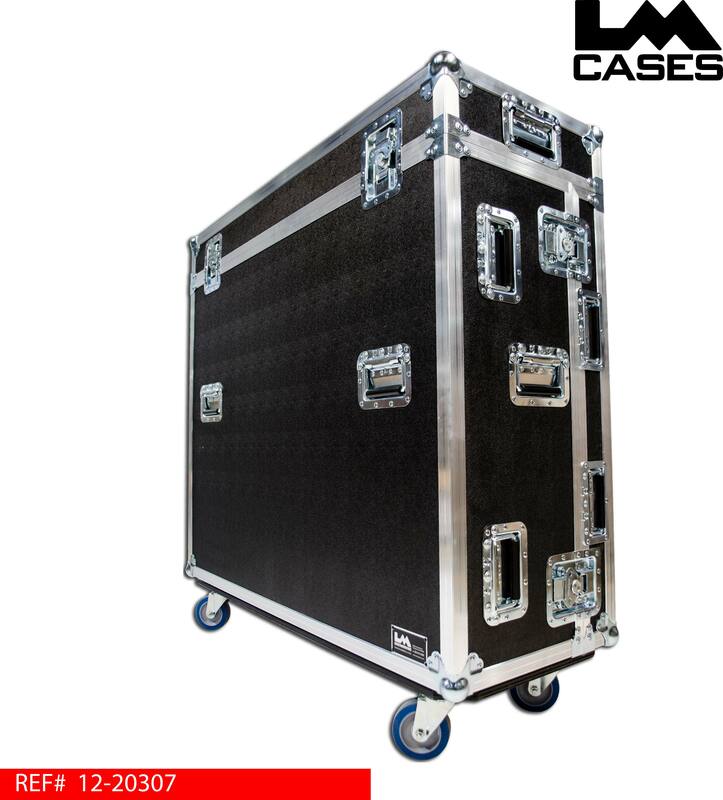 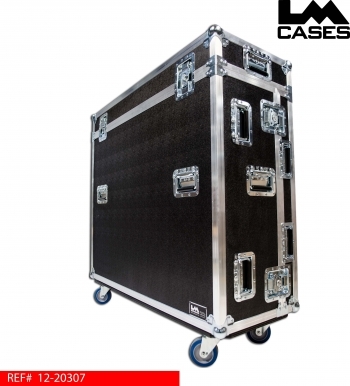 The case exterior is built out of 3/8" plywood and features deep recessed handles and 4" Colson casters.